This is polished india red tile. 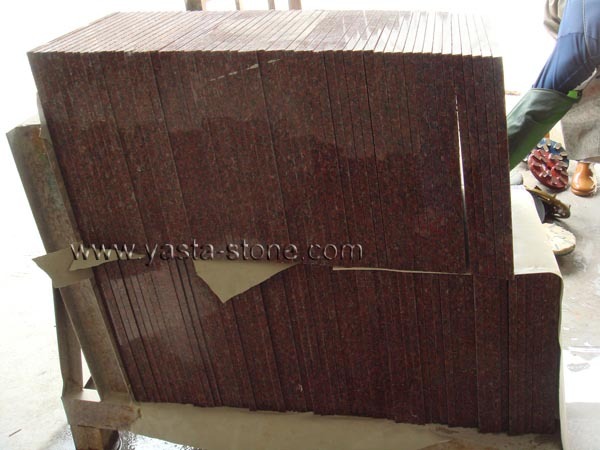 We can fabricate and export india red granite tiles, countertop, vanity top, wall cladding, steps, stairs, column. For granite tiles surface finished can be mushroom, flamed, honed, bush-hammered etc. Custom size 12"x12", 16"x16", 18"x18", 24"x24", 12"x24" , cut-to-size. Thickness: 8mm, 10mm, 12mm, 15mm, 18mm, 20mm, 25mm, 30mm, 40mm, 50mm.